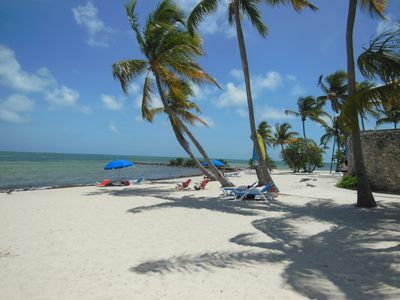 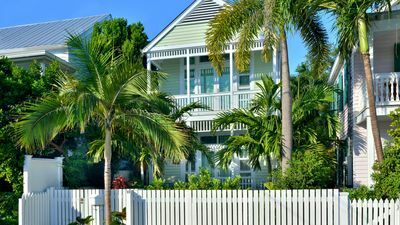 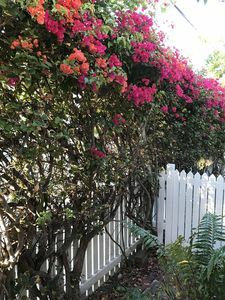 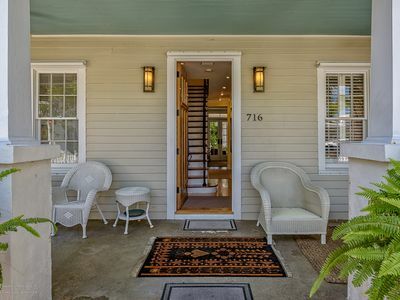 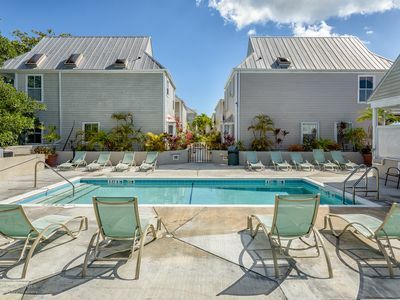 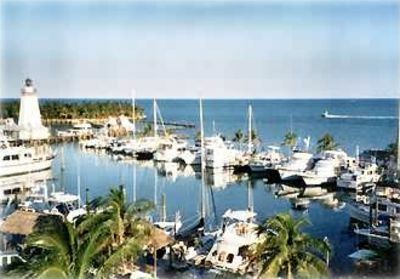 Make our home your dream vacation destination in fun-filled tropical Key West, Florida. 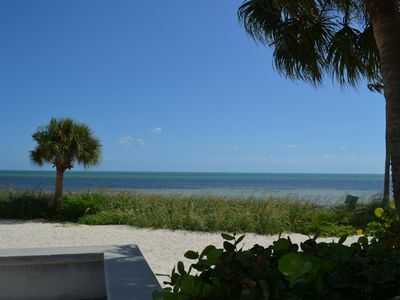 '1800 Atlantic' is Key West's premiere luxury condo complex on a private Atlantic Ocean beach adjacent to Smathers Beach, the best in town. 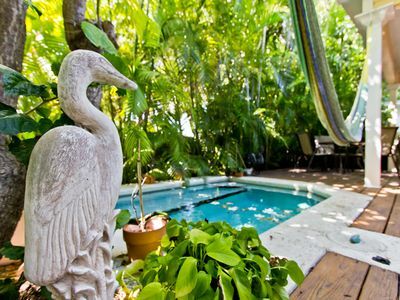 You are only a two minute ride to the airport and five minutes to all the attractions of Old Town, Duval Street. 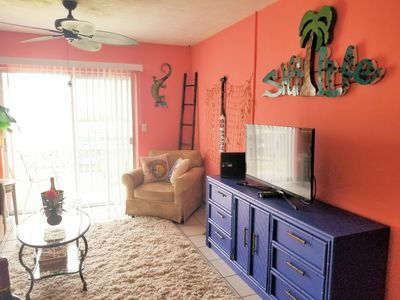 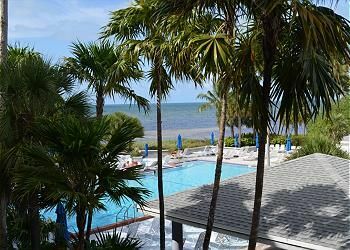 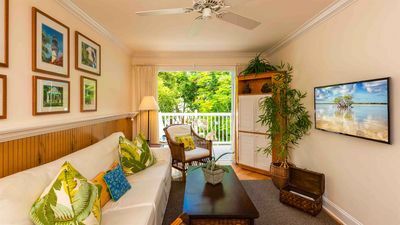 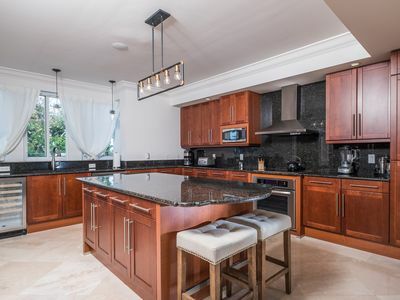 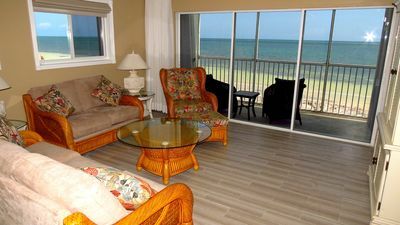 Our beautifully furnished large 2BR/2BA condo has a covered private terrace with serene award winning lush tropical garden view accessible from the living room and both bedrooms. 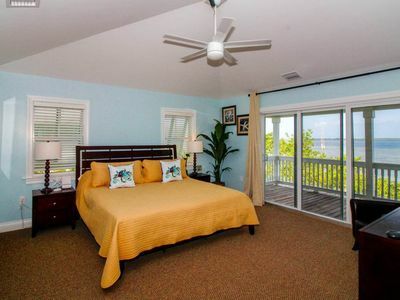 The master bath has two sinks and heated spa tub. 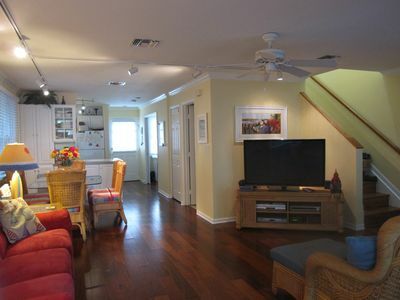 The kitchen is fully equiped and all towels (beach and bath) and linens are included. 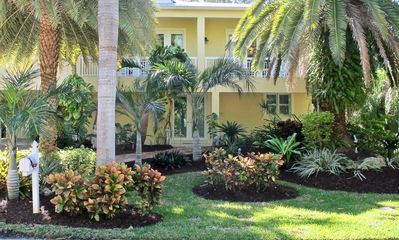 The landscaped grounds have three lighted tennis courts, one clay, covered outdoor pavilions with BBQ grills, and a huge heated pool and whirlpool spa. 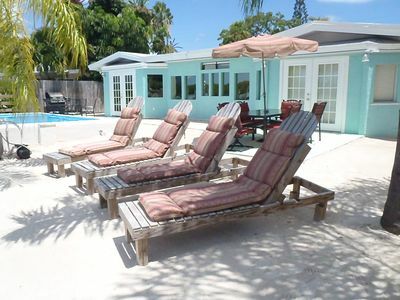 There is also a gym, library and sauna. 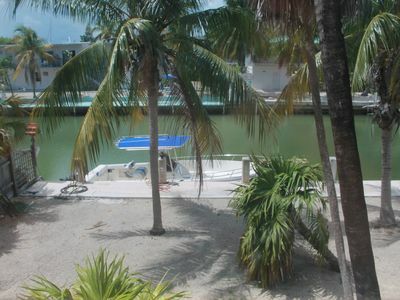 One assigned parking space in the gated covered garage in addition to visitor's parking lots. 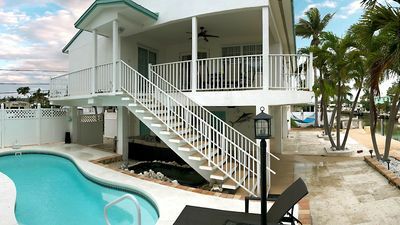 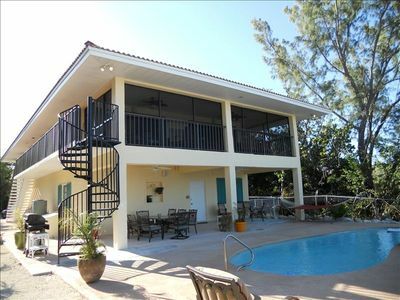 4 Bedroom 3 bath on beautiful Duck Key!